Branson Travel Agency serves as the Air Travel and Car Rental division of the well respected, highly successful Branson Tourism Center family of companies. 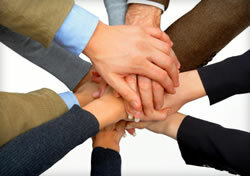 At Branson Travel Agency, our mission is simple...to be the best travel agency in the world! This is what we strive for every day, and we take pride in delivering nothing less than exceptional customer service. With our extensive travel industry experience, our formidable network of travel and tourism partners, and our ability to discover the most cost effective reservation solutions, Branson Travel Agency is your best resource for travel to Branson, Missouri. Our membership in the American Society of Travel Agents (ASTA) is just one example of the extensive list of professional industry affiliations where Branson Travel Agency holds a membership. Do not hesitate to contact us to help arrange your flight to Branson and reserve your rental car. We look forward to hearing from you! 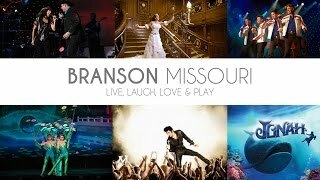 Branson Tourism Center and its divisions, Branson Tourism Groups and Branson Travel Agency, offer impressive commanding individual and group discount pricing for entertainment, lodging, attractions, vacation packages, car rental, and air fares for Branson, Missouri, one of America's most popular vacation and business travel destinations. Our remarkable success stems from the wonderful relationships we've developed with the vast community of suppliers in, around, and serving Branson. The large volume of business we manage, together with Branson Tourism Center's commitment to professional, friendly, and superior customer service, has allowed us to pass along significant savings to our valued customers...and that includes you! 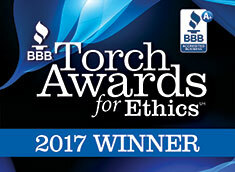 We have been awarded the 2017 Torch Award for Workplace Ethics from the Better Business Bureau of Southwest Missouri. The first Branson business to win such an award.